Products we can help with Sony Products Did You know? 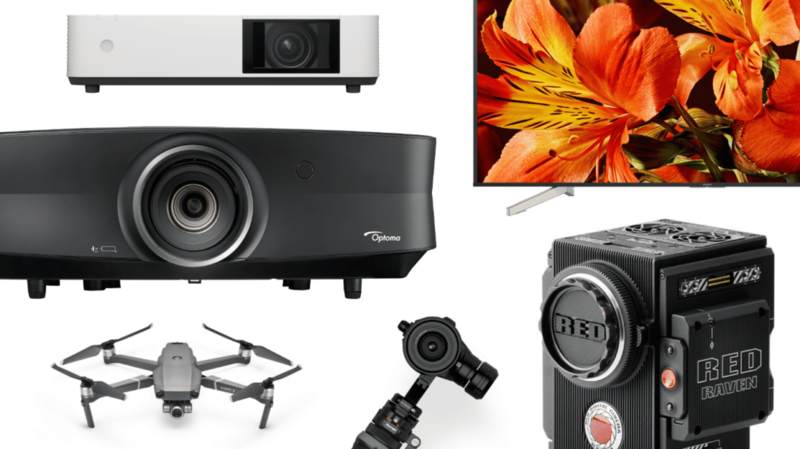 Why TVS Pro Testimonials Contact Us Products we can help with RED Digital Cinema DJI Products Canon Products Sony Products Blackmagic Design Panasonic Products Blog Posts Did you know? For over 50 years, TVS Pro has been providing industry professionals with the equipment to capture the best images. Beginning with reel-to-reel recording systems and now solid state cameras with 4K and 8K resolution, we’ve continued to provide the latest equipment that can help your company put their best foot forward. We have a proven track record of not only providing equipment but helping our customers understand the technology and providing training so they can use their products to their fullest potential. TVS Pro is proud to offer ‘Best Value Cooperative Contracts’ for the state of Utah for all your audio/visual needs. Currently, we provide contracts for: LCD & DLP projectors, Integrated Classroom Solutions, and AV Equipment & Accessories (Including production equipment & drones). We now have financing Options Available. See Details! Proudly serving the entire Mountain West and beyond! Have a question? Contact us and see how we can improve your A/V experience! Ironically I can’t say much about their TVs (of which they are the Pros of) because I go to them with all of my film and video needs. Their staff are both very well-versed in the products they sell and very accommodating. I never felt like I was being pressured into buying anything. I’ve purchased everything from a high end production camera to accessories and have been happy with every purchase. Collin, James, and Jeff are the guys I usually deal with and each of them are amazingly helpful and do their best to get me the best price for what I am buying. I’ve found that most of the times their prices are better than what you’ll find on B&H. We Purchased a Canon c300 mkii package from TV Specialist. There were able to help guide us during the process and make sure every little piece and part we needed was covered. Their knowledge of video production is top notch. If something does goes wrong they will make it right. This is the place to go. They really know their stuff. This is the place to go in Utah if you need top tier equipment. I do a large amount of business with TV specialist. I visit weekly.I am a local video producer, I rent and buy all my pro camera equipment here. I can say they they know how to win a customer. Since Day 1 I have been treated with respect and I felt valued as a customer. I started off my career as a corporate freelance videographer and I would always talk to Geoff and Collin bugging them with questions. I sometimes felt like I took too much of their time, I was hungry to learn as much as I could. They where always happy to teach me. As my career has progressed I can say that TV specialist is a big part of why I am successful. Purchased our FS7, FS5, ReadyRig, and more all through these guys.Very very helpful folks!Always going above and beyond to make sure we get what we need. They are a super professional staff and always go out of their way to assist us! We have used TV Specialists for both rentals and new equipment purchases and it is always nice to be able to try something out before you buy it. We highly recommend TV Specialists for any of your Audio/Video needs! As a high school teacher dealing with all kinds of equipment for filming and streaming, TV Specialists has been fantastic to work with. They are experts in the field and have had fantastic customer service. A Red DSMC2 Brain is capable of data write speeds of 300 MB/s, can simultaneously record in REDCODE RAW and Apple ProRes or Avid DNxHR/HD, and is offered with three sensor options – delivering incredible dynamic range and up to 8K resolution.With features like cable-free peripherals, integrated media bay, wireless control, DSMC2 is the most powerful and intuitive camera to date.It is also compatible with a growing arsenal of modules and accessories – from RED and other third-party manufacturers. Tack on interchangeable OLPFs and lens mounts and DSMC2 gives you the ultimate control over your footage. From the deepest recesses of the ocean to hundreds of miles above earth, Canon’s renowned imaging technology enables researchers, professional photographers, cinematographers and even astronauts to shoot impactful, clear, crisp imagery, even in extremely low-light conditions. Refined for extraordinary image capture control and quality from the 24.2MP full-frame BSI image sensor, 10fps1 and 693 phase detection AF points – the a7 III has everything you need. The α7S II has evolved in both Stills and Movies adding internal 4K video recording1, 5-axis image stabilization, High-speed AF with enhanced accuracy while maintaining its legendary low-light capability. Realism meets resolution and sensitivity – with the world’s first1 back-illuminated 35 mm full-frame CMOS image sensor at a whopping 42.4 megapixels. Ready for any shooting scenario, Sony’s PXW-Z150 handy professional camcorder delivers stunning 4K image quality, 120fps, HFR Full-HD slow-motion and built-in advanced networking for live streaming and wireless workflow. The PXW-FS5M2 now offers more creativity with FS RAW output capability and continuous Full HD 120fps out of the box. 4K60p/50p recording at RAW quality, and a stunning 120fps (4sec) HFR in 4K resolution. Retaining all of the features from that made the FS7 a widely used camera, the FS7 II has additional enhancements to give user more features and ergonomic advances. For over 15 years, TVS Pro is proud to have provided the state of Utah* ‘Best Value Cooperative Contracts’ for all audio/visual needs. Currently, we provide three state contracts: LCD & DLP projectors, Integrated Classroom Solutions, and AV Equipment & Accessories (Including production equipment & drones)..
Don’t have the funds for production equipment? We have two financing options available to choose from: 0% interest if paid in full within 6-12 months offered by Synchony, and for longer terms, SCL (Southern California Leasing Inc.). Most people know that business owners can write off equipment for their business by writing off a little at a time through depreciation. But, with Section 179, businesses can write off the entire purchase price the year that you buy it! In 1986, TV Specialists, Inc. invented and introduced the ZIII shoulder professional camcorder system – the first recorder system to use a high-band Lumachrome recording system prior to professional SVHS Y/C professional recording systems. The signal-to-noise ratio and resolution was improved with the modified Y/C signal so that it was never encoded until final playback.